Can you think of a better way to start your mornings off than with a delicious & refreshing smoothie? 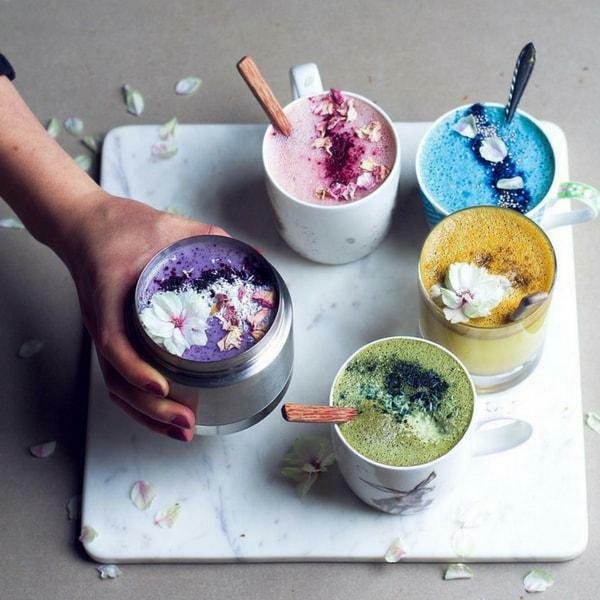 Thanks to Kath & Jade – the talented duo behind @panaceas_pantry – we have 3 tasty Smoothie recipes for you to try! They are all packed with nutrients, taste amazing and look just as incredible as they taste! Check out these amazing flavor combinations & be sure to let us know your fave! Wizz them all up and stack your blueberry layer onto your lime layer! Kath & Jade served this delicious creation with homemade coconut yogurt (‘cos, probiotics), quinoa puffs & plenty of tasty berries! Yum! Pop it all together in a blender & mix until smooth. Pour into a glass & decorate with the toppings you please! The girls decided to go with strawberries & figs for this delicious concoction! 5. Finally, warm some berries in a saucepan, until soft, then mash with a fork. 6. Layer your jars with the different colours, the berries, and then fresh berries on top. In all seriousness though, have you ever come across smoothies that look this beautiful? – and trust us, they are as tasty as they are pretty, we are OBSESSED! Hop back into your Bamboo Bedding & enjoy your smoothie or pop them in one of our stylish Insulated Water Bottles if you are on the go!